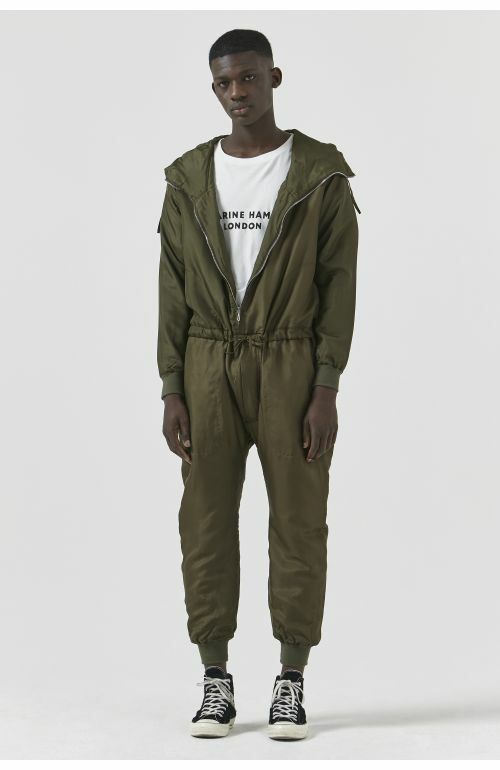 Katharine Hamnett London 1984 archive reissue military inspired khaki zip runner. 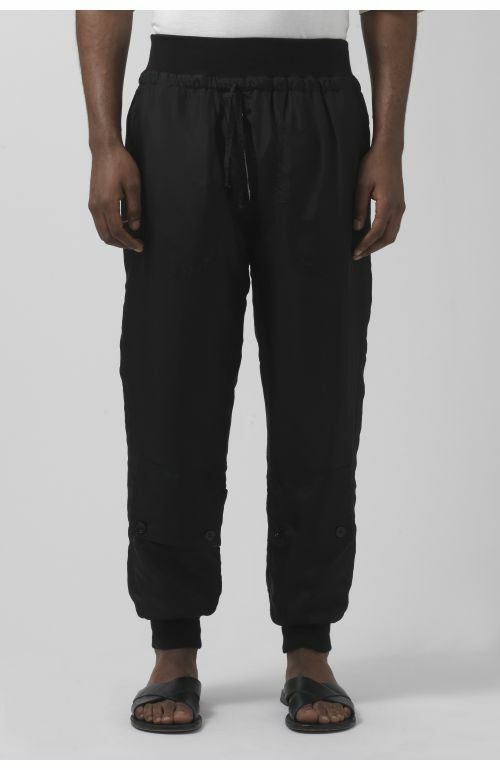 Padded parachute silk trackpant with rib waistband. Diagonal zip fly. Side pockets and patch pockets with buttoned flap closure on back and at front hem. Work pocket. Rib cuffs at hem. 100% silk. Made in Italy. The model is 6'2.5"/ 187 CM and is wearing size 30. 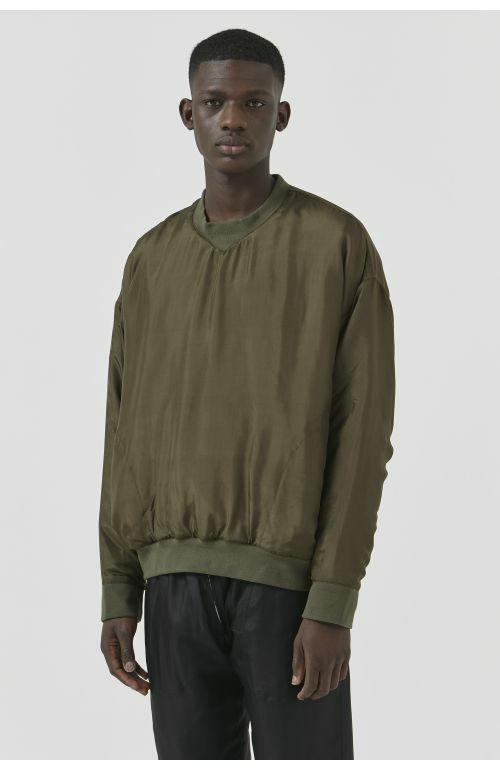 Oversized fit, we recommend you choose one size smaller for a more regular fit.